At MOJ Digital, we’ve embraced agile delivery for all our projects. It’s a new way of working that’s like building in Lego rather than carving from marble. Using agile methods means building and planning incrementally so we can release software, and therefore value, to our users and agencies as quickly as possible. This isn't how software has usually been done in government. Traditionally, we’ve asked external suppliers to build or configure a proprietary product using waterfall methodology. This is where you specify detailed requirements up front then move in single, sequential phases through product development. Adopting an agile, Lego-based approach means that material costs are lower. We buy a few bricks at the start and then build in small sections. With marble, you need to buy a huge piece at the start to make sure you've got enough. You’ll have all the material you need but inevitably there will be waste. Lego is easy and fun to build with. It's lightweight – if it doesn't work you can start again or simply go back and adapt what you’ve done to improve it. It provides you with a solid base that you can improve and build on with confidence. With marble, every change you make has to be assessed, because it can't easily or cheaply be undone. Once you’ve reached a certain point, it’s almost impossible to undo it even if you’ve had a better idea. 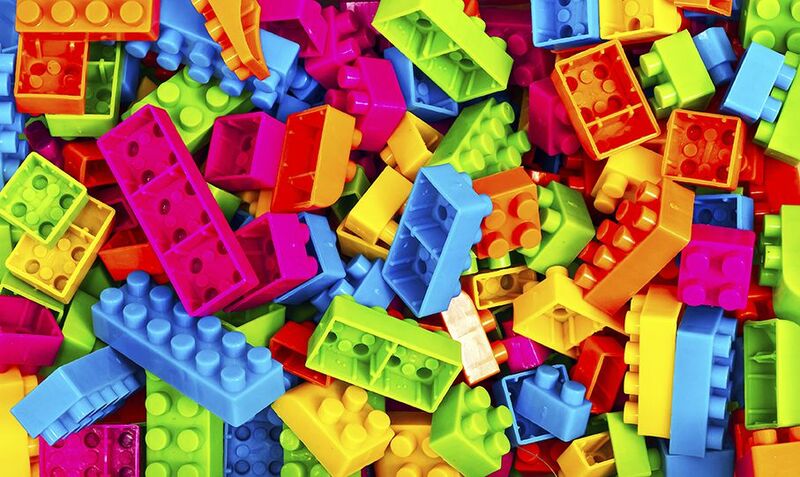 With Lego, you can quickly build something and demonstrate progress to users and senior management alike. That way you can capture their thoughts and improve on what you’ve got. Carving from marble restricts you to paper sketches. You’re forced to produce more and more detailed work up front and then try and transfer what you’ve imagined on paper into your masterpiece. As a result, people can’t really tell how it's going to work out until that moment when you launch your creation on the world. If you’ve built with Lego statue, you'll be pretty confident that your audience will like it. And even if there are elements you’ve missed or people want tweaking, you can easily add them later. By contrast, the big reveal for your marble statue is a nervy affair – nobody has seen the finished article until the very end, which leaves you hoping that every bit of it passes muster. OK, so I've stretched the analogy but I hope you get the point. If you build flexible software, release it often and incorporate feedback as you go, rather than saving up until it's 'finished', you get a product that’s more cost-effective, works better and can easily be enhanced. Remember, you can add a Lego statue’s head back on, but the Venus de Milo is always going to be lacking something. We'd love to get your thoughts and find out if you're working in an agile way. Let us know your comments below. I am writing you from Quebec (Canada) and would be trilled if I could exchange with someone in MOJ about how you design the contracts that links you to your outside (private sector) suppliyers in an agile context. At Revenu Québec (the equivalent of HMRC here), we have been moving towards the agile method in most of our important IT development projets for sometime now but are faced with epict challenges touching tendering and contract using this method. Can anyone help me figure out how you do it in MOJ? Thank you so much.